According to the Harvard Business Review, poor hires account for almost 80% of turnover rates in business and our own substantiated calculations show it can cost a company $697,000. In addition to costing cash up front, bad hires reverberate endlessly taking up limited resources and negatively affecting morale which also costs money in the long-term. The problem is that even the savviest and most successful CEO’s, hiring managers and human resource executives can be tricked once in a while. A candidate may be disarmingly charming, extremely well-rehearsed, or have a solid list of referrals that in reality were just their college drinking buddies. In order to avoid this plight, companies should enlist experts who specialize in hiring and can differentiate the contenders from the pretenders. It is key to think of interviewing like peeling an onion, one must understand how to get through the layers to find out what is really underneath. As the CEO of Peak Sales Recruiting, I have overseen the interview process for top sales candidates and world-class companies for more than 25 years. 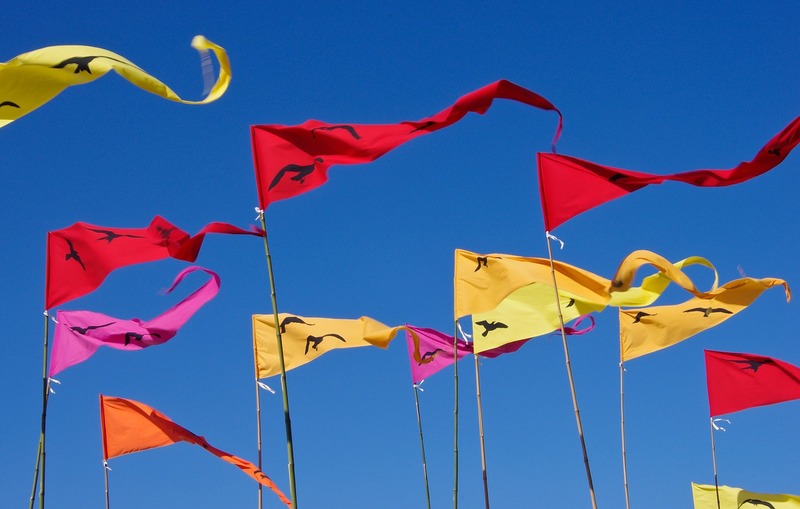 Here are the top 6 red flags that every interviewer should recognize and act on. 1) CRITICIZES FORMER EMPLOYER: Jobs and careers can often be messy and much of it is out of a person’s control. However, acting like a professional is something that is very much in our control. If the candidate bad mouths their current employer or boss, it is time to wrap the interview up quickly. Chances are that person may bad mouth you in the future. Professionals focus on their own behavior and what they need to do to be successful. 2) ONLY DID SURFACE RESEARCH: If a candidate does not know standard facts about the organization, its products, services or leadership, it is hard to believe they are legitimately serious and they should automatically be removed from consideration. However, in today’s world where information is available at the click of a mouse, employers should take it a step further. Any candidate that can’t offer thoughts on how their employment would help take the company forward does not deserve the role. While they should not be expected to solve all problems before their first day, a thoughtful speech about why they can make a difference should be required and expected. 3) HAS TROUBLE WITH MONOGAMY: While it is true that a person may need to move around to find their place, be wary of the candidate who changes jobs every six months. Perhaps they have commitment issues, perhaps they get out before the employer realizes they can’t produce, I leave this to the philosophers and psychotherapists. What I can tell you is that when you invest in an employee, and follow a structured and rigorous hiring process, the expectation is that they will be a consistent producer for years or decades to come. That is how a company achieves true growth. Not to mention that an employee needs time to develop and learn company culture before they can truly contribute. 4) DIDN’T BUILD IN EMERGENCY TIME: If you are not five minutes early, you are late. Anyone who starts a new job should show up early and leave late, even if just by 30 minutes on each end. This establishes good will and lets employers know the new hire means business. Similarly, showing up late for an interview is truly a disqualifier. There are rare cases where the car may have in fact broken down, the subway lost power or the dog ate the car keys, but in all honesty the candidate should have built emergency time into their planning. This is a huge red flag and in my experience a sign of things to come if the person is hired. 5) TAKES ALL THE CREDIT FOR THEIR SUCCESS: No matter how skilled or accomplished the candidate may be, it bodes well for them to exhibit signs of teamwork by interchanging ‘I’ vs. ‘we’ we discussing past successes. Too much ‘we’ could indicate a lack of personal influence, but too much ‘I’ could be a prelude to a bad teammate. This red flag is often harder to spot, especially when the interviewer is truly hoping to find someone very strong, but no less important. 6) INABILITY TO DISCUSS THEIR WEAKNESSES: This is a big one. The most successful people are highly self aware and are able to admit past mistakes and discuss their weaknesses. After all, we are all human. A person’s DNA is so critical in hiring, someone who can demonstrate how they overcame adversity and showed resilience is very attractive. Be wary of the person who never made a mistake or always gets it right. It is unrealistic and fool’s gold. 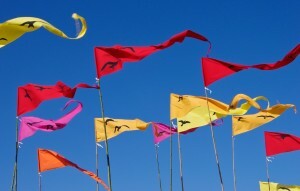 These red flags, will help green and seasoned interviewers alike be able to weed out bad candidates. The ability to bring in the right people is the engine of growth for companies across every industry. Eliot Burdett is the Co-Founder and CEO of Peak Sales Recruiting, a leading B2B sales recruiting company launched in 2006. Under his direction, the company leads the industry with a success rate 50% higher than the industry average, working with a wide-range of clients including boutique, mid-size and world-class companies including P&G, Gartner, Deloitte, Merck, Western Union and others. Prior to Peak, Eliot spent more than 20 years building and leading companies by recruiting and managing high performance sales teams. He co-founded Ventrada Systems (mobile applications) and GlobalX (e-commerce software) and served as Vice President of Sales for PointShot Wireless. Eliot received his Bachelor’s Degree in Commerce from Carleton University and has been honored as a Top 40 Under 40 Award winner. He co-authored The Ten Most Costly Sales Hiring Mistakes. Another of the great Best Practice sessions that will be featured at the CUE conference in Denver next week will be Managing Diversity and Generations in the Workplace. In this session, our panel of internal and external subject matter experts will learn how building Cultural Intelligence in your workplace can help to effectively engage employees, and deliver better business results. 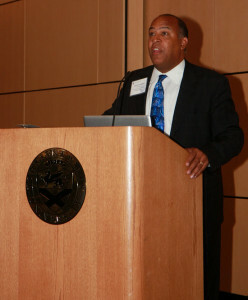 Case studies from CUE members will focus on developing supply chain diversity and communicating across generations, and how developing these practices help maintain a positive workplace culture. This program is part of the employee relations track in which we try to offer content that will assist your company in building positive employee relations in your organization. •Engaged employees give 40 to 80 percent more discretionary effort in their jobs than low commitment employees. Discretionary effort translates into increased sales and better customer outcomes. •Moving an employee from low commitment to high commitment decreases their turnover rate by 80 percent. Ask your Asian, Black, or Latino employees what it is like working there as a person of color. Ask them if there is an overall environment of inclusion. Are their opinions asked when new products or programs are offered; are they regularly included in company functions; and, then the ultimate test of inclusion, does leadership reflect diversity? Ask them to give you three specific actions you can take to help them make stronger connections in the company. By asking these questions, you will be sending a strong message that you are interested in their success. But only by taking action on their recommendations will you demonstrate commitment to their success. Apple is building a new flagship store in San Francisco, but they’ve run into some labor problems along the way. According to the San Francisco Chronicle and ConstructionDIVE, Apple is facing issues with contractors over unpaid bills, and has angered local building trade groups by not fulfilling promises to hire union labor to perform work on the project. According the local officials from Local 22 of the Carpenters union, Apple promised to hire a general contractor for the project that would hire only members of local craft unions., but has since moved the project to another contractor. An Apple spokesperson claims all the labor being used on the project is union represented, but the union disagrees. 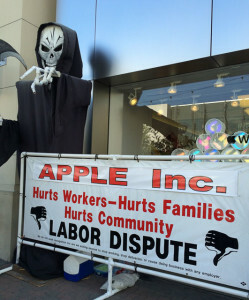 This has resulted in regular picketing at the construction site, and the creation of a website called the Ugly Half of Apple Inc. which they are actively using in the high tech Silicon Valley area to publicize the labor dispute by including the name, email and phone number of the Apple manager responsible for the project on the site, and describing the details of the labor dispute. In February 2014 Apple committed to the Carpenters Union that they would hire a general contractor that follows area standards, and requires all of their subcontractors to follow area standards, on all jobs all of the time.Apple also asked for the public support of Carpenters Local 22 for their project entitlement process. The Carpenters mobilized and successfully helped Apple move the project forward. Unfortunately, once Apple got what they needed from the Carpenters, Apple went back on their commitment and hired a general contractor that does not require payment of area standards wages and benefits on all of its jobs all the time.Apple Inc has failed to require LEDCOR CONSTRUCTION INC and all of its sub-contractors to pay carpenter area standard wages and benefits on all projects all the time. 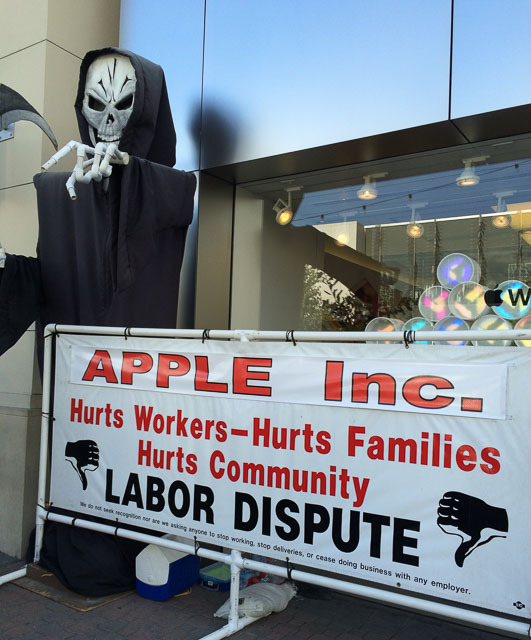 According to the website AppleInsider, pickets have been held at Apple Stores in San Francisco, Berkeley, and Palo Alto and over the past few weeks with customers being greeted by protesters criticizing Apple and project general management company Ledcor over issues related to not hiring union labor, along with unfair wages and benefits. This type of local campaign is not unusual, but is an excellent example of the ways local unions can combine classic picket line activities with new media efforts to provide greater outreach for their issues in the community. CUE can help employers prepare in dealing with these kinds of issues.